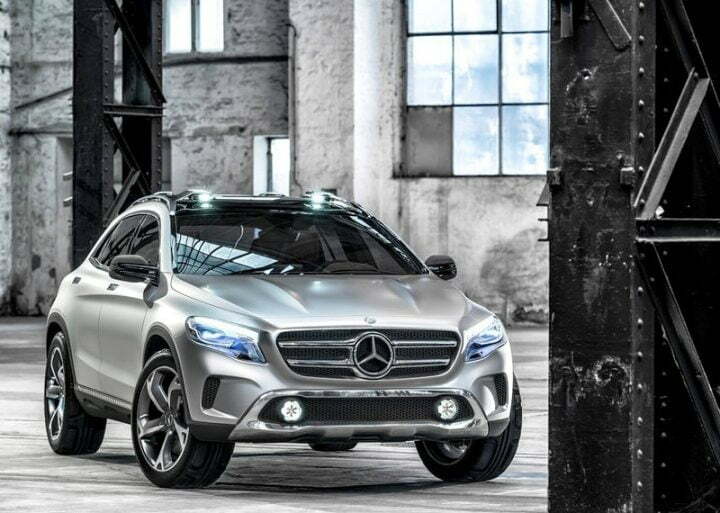 It seems that the German car maker wants to collect all lime light ahead of the 2013 Shanghai Motor Show. 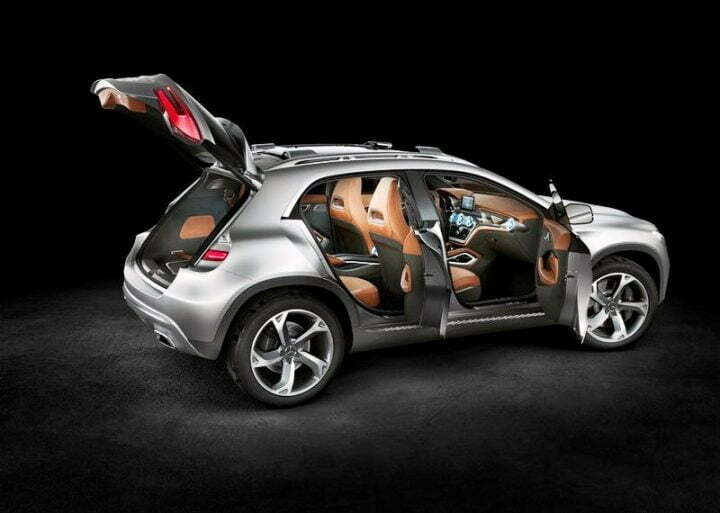 Just two days prior to the commencement of the event Mercedes Benz unveiled the much awaited Mercedes GLA Concept. 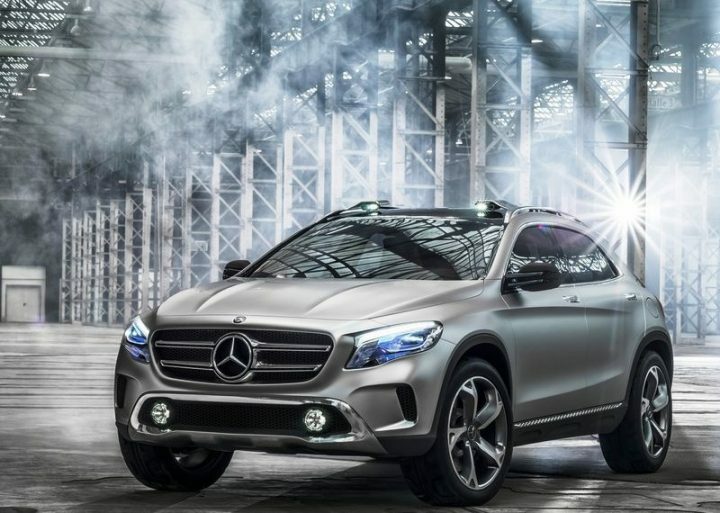 Mercedes’s motive behind the development of this concept is pretty clear to all. 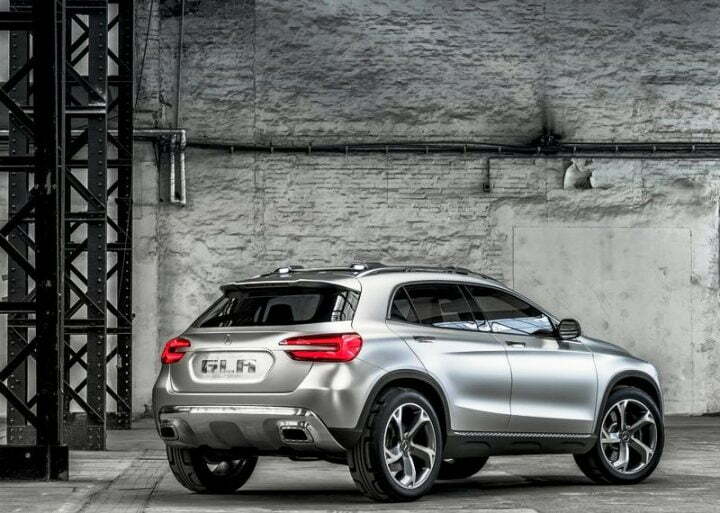 The Mercedes GLA will take on Audi Q3 and BMW X1 after rolling off from assembly lines. The chain was initiated by BMW when it launched X1 in 2009 and overmastered the market. Audi replied to this move through launch of Q3 in 2011. And Mercedes not standing far behind (although four years is not a small period) is now totally armed to take a firm stand against the two. 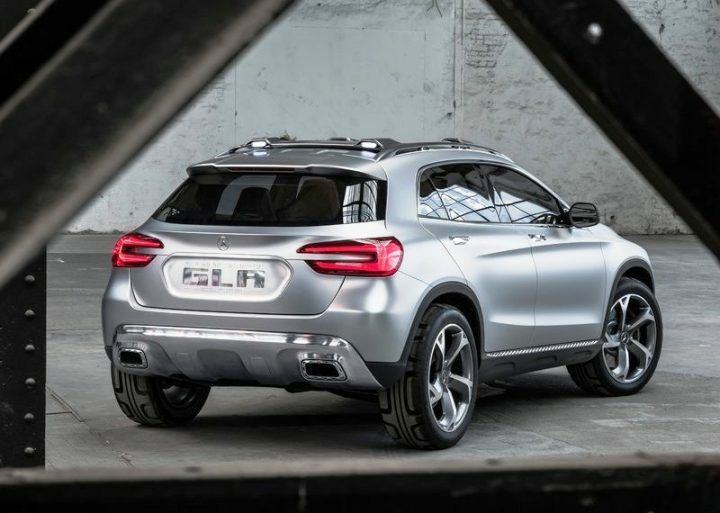 And from what we can make out after watching GLA concept from all angles is that Mercedes has, in every way, excelled the level of excellence. No doubt it took four years to come up with it, the time period was worth it. 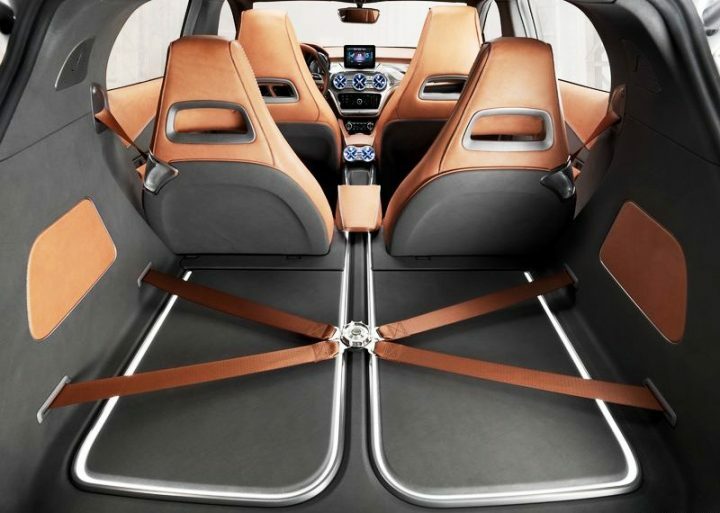 This latest Mercedes innovation has been designed on MFA platform which was also the basis of A-class. This very well explains close resemblance between the two. 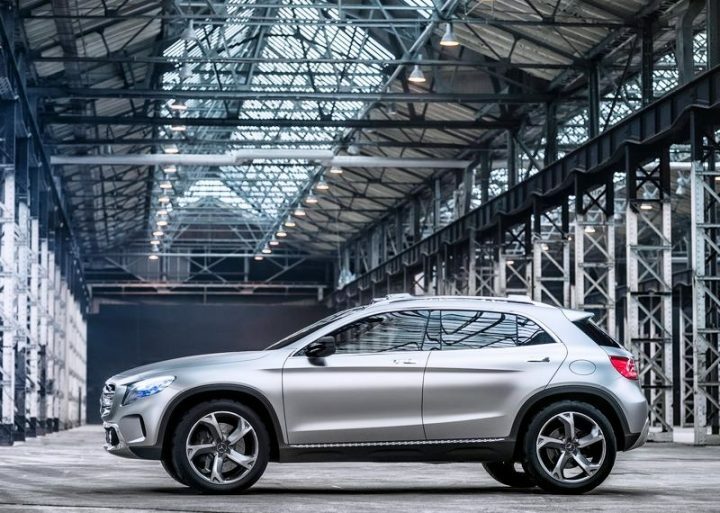 Apart from this, the wheelbase of A-class will also be shared by this new marvelous model. In terms of dimensions, the vehicle is 4.38 meters in length, .57 meters in height, and 1.97 meters in width. The wheelbase of the car is 2.69 meters. The front has been styled with exceptional grace and elegance that is clearly visible in its raked windscreen, huge air dams, sweptback headlights, chromed skid plate, and bulging hood. The robust wheel arches on both sides along with plastic moldings that very well shade the 20 inch 255/45 R20 wheels. The most eye-catchy feature are the roof rails of the car that have been studded with LED lights. The rear welcomes you with modish LED tail lights, pair of chrome plated exhausts, an added chrome protection plate, and a spoiler mounted on roof. On stepping inside the car, you will come across a dash board that is very much similar to A Class dashboard along with a pair of air vents that look at you from the front central arm rest. 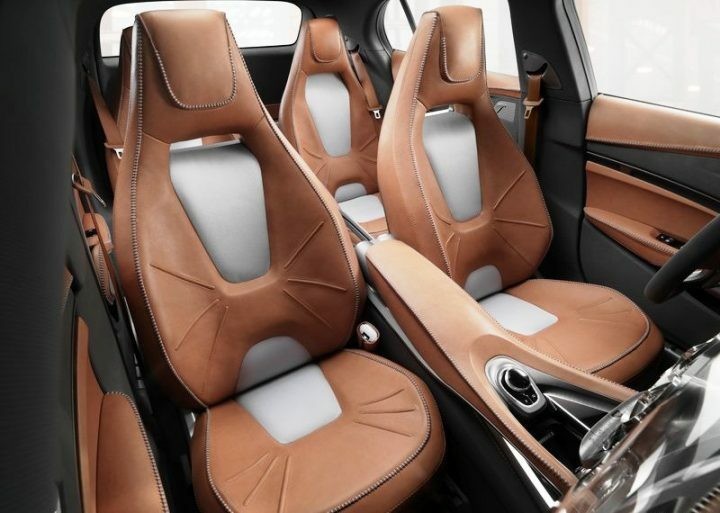 Also, the seats have been wrapped in beige interiors in a futuristic mode. 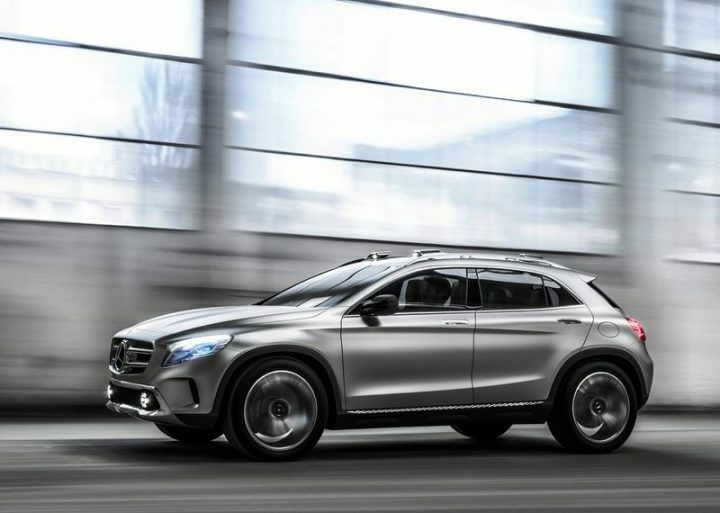 The production model of the car is eagerly awaited that will be show cased at the 2013 Frankfurt Motor Show that is due to take place in September.